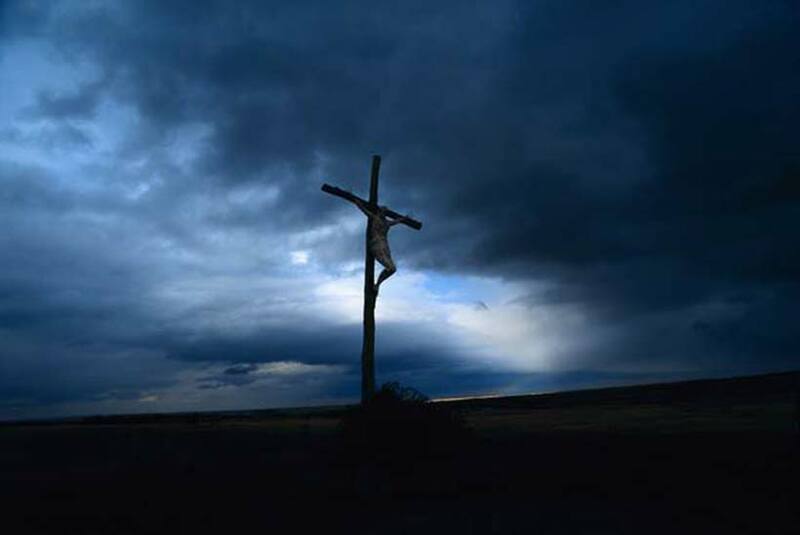 Christ Jesus, you hung upon a cross and died for me so that I might live for you; Your body was broken and your blood shed so that I might be healed and made whole. You were faithful unto death so that I might be faithful unto life. Your last command was that we might love one another, one family together from every tribe and nation; a new creation united through your sacrifice, redeemed by your blood, healed by your love, united by your covenant of peace. Grant that, in your death I may find life, and in your suffering I may find peace, today and forever. This is the saddest day of the year, in the Christian calendar. But why do we mourn the death of Christ, a death ordained by Christ himself, especially when we know he will rise again in a few days, in great glory? It is human to mourn when a loved one dies. Even most devout Christians will mourn and grieve the death of a loved one, though they are certain that the deceased has gone on to a better existence. We mourn the pain they have suffered and we mourn the pain we feel at their departure. So it is natural to mourn the death of one who is so innocent, so perfect, the very Prince of Peace. We also mourn for Christ's pain. Never does he seem as fully human as when he says he is thirsty. Thirst is used throughout the Gospel of John to stand for spiritual yearning; and Christ repeatedly offers to quench others' thirst with a river of water that will never run dry. But now, he himself thirsts; he seeks the spirit of his Father to comfort him in his agony. It lets us know, without question, that God has experienced the most extreme pain of being human and thus gives us confidence in his sympathy for us. And we mourn for the sinfulness of those who killed him and for the pain we, ourselves, have caused in our lives. Despite our best efforts, all of us have sinned and fallen short of the glory of God, and we regret it. It is the ultimate day of penitence. Although the accounts differ among the gospels, Christ receiving vinegar is the source of a lot of controversy and confusion. People can't even agree on what the "vinegar" actually was, or whether it was an act of cruelty or an act of mercy to give it to Christ. One must think that in John's version, vinegar on hyssop was intended as an act of kindness, because hyssop was a medicinal herb used widely in Jewish purification ceremonies. 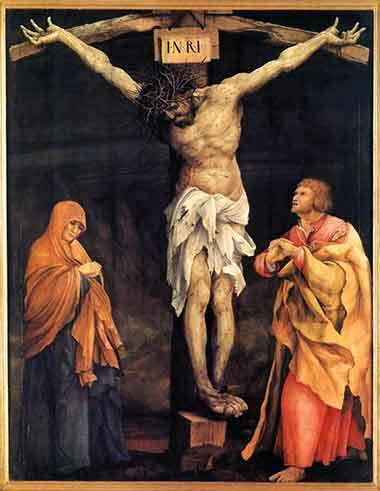 The Crucifixion by Matthias Grunewald (German), ca. 1524.